Take the new “sensation” Nevermoor, by Jessica Townsend. I only became aware of this “sensation” a month or two ago, but when I read of the frantic bidding auction for the manuscript, the six figure advance, the rights deals to umpteen foreign territories and the 20th Century Fox film deal, followed by the great reviews, the mounting anticipation of its release and the amazing marketing campaign and author tour, well, there were so many conflicting emotions flitting around inside me that I ended up lumping them together and feeling, well, numb. Of course, I was excited for this young debut Australian author. (I can be nice. Sometimes.) What an astonishing thing to happen to your first manuscript! But, truth be told, I also found myself shaking my head and tutting and wondering why her? ; why not me? ; I’m a failure; I’m not good enough etc., etc., etc. This is not healthy self-talk. But it happens. And again, I’m not alone here. We all do it, I think. We look at someone else’s successes, even the less glittery ones, and suddenly feel not good enough, not talented enough, not clever enough. A total fraud. Even if these are only fleeting thoughts – it happens. And I think it is best to recognise it for what it is – a creative’s natural self-doubt – and then push that self-doubt over a jolly steep cliff and get on with our own work. Because if allowed to fester, it can be destructive. Back to Nevermoor. In this instance, it was easy for me to push aside my professional jealousies, because when I read a little more about the book, I knew that I could never write that book – my brain doesn’t work that way; it’s not my thing. (Kirkuk Reviews reviewed it as “… Harry Potter is meeting Alice in Wonderland ...”) Regardless of this, I bought the book on release (a signed copy no less) and keenly read it. There has been an interesting debate online lately about whether a writer should read and if reading could at times stifle your writing. (See these great blog posts by Jen Storer and Sandy Fussell.) I firmly believe reading is crucial to developing the craft of writing. 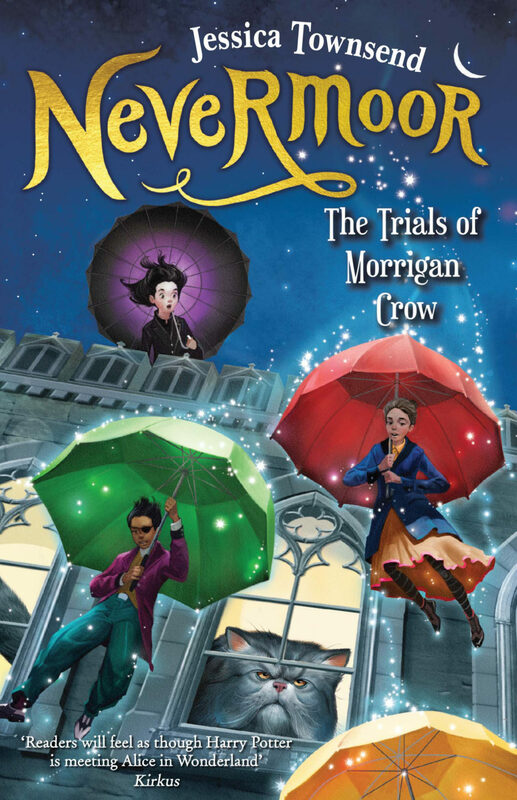 So, I read Nevermoor – not so I could find out what all the fuss was about, not so I could work out how to tap into the latest trend, not to try to emulate her success. But to learn. As a writing coach, publishing consultant and editor, I need to know what the market is responding to and why. If something is “hot” right now, I need to be able to talk about it from a position of knowledge, not hearsay. Most importantly, as an author, I read Nevermoor because I was sure there would be some lessons within the pages for me – even though it isn’t my preferred genre. And, yes, by reading as a writer, which means analysing as I read, I did make some great discoveries about characterisation, pacing, originality, setting and so on. I identified what I thought were the book’s flaws and also its strengths. I thought about these in the context of the book that I am planning and the one in its third draft. Not in a “how can I emulate this?” way, but in a “how can I improve my craft?” way. What elements can I strengthen? What traps should I avoid? So, what this rambling post is trying to say is this: don’t let the success of others and those ugly professional jealousies intimidate you. Accept that you’re human, shove the green-eyed monster over a cliff, and then set out to do the best YOU can do. And know that’s enough. Such good advice Sue – especially for the self doubters. Also interesting, the part about whether a writer should read, particularly in their own genre. I worry that I will unconsciously copy another writer so tend not to read as a I like to write. Perhaps I should. It is something that I ponder on quite a bit too. I tend not to read that much within the genre I am working on at the time. Just in case … Hope all is well in your world, Jackie! Loved this Sue and I am near the end of Nevermoor. I too like Jen Storer’s advice about not reading too much in your genre but I also like to deconstruct books and like you, find their strengths and weaknesses.I can see the cinematic qualities in Nevermore but it did not appeal as much as A Most Magical Girl or Dragonfly Song. which i think did not get the accolades they deserve.And the green monster? Well I find that Jen’s Girl and Duck group is so supportive even though many are unpublished, like me,whilst others have a pile to their credit. I think we have similar taste in books, Paula! And I agree with many of the points Jen made also – and it’s great to have supportive spaces like Girl and Duck. In fact, I think children’s authors are generally wonderfully supportive of each other. It’s a good industry to be involved in. All the best with your writing – I’m sure that elusive book contract is just around the corner! I’ve just ordered this for the very same reasons. Also, because I have young people around me and I like to buy books for them and recommend them. I do have the green-eyed monster sometimes too but I also know that I’ve never sat down and done the work and TRIED to come up with something so spectacular as Nevermoor or Harry Potter, etc. I’m not sure if I could but you never know if you don’t try, right? In the meantime, I love immersing myself in these other worlds and enjoy the writing as well as respecting them from a professional viewpoint. I’m currently reading Dragonfly Song to myself, which is lovely. I’m reading Deltora Quest 2 to my older son (Emily Rodda is just brilliant, in my opinion!) and Beatrice Zinker, Upside Down Thinker to my younger son, which is a gorgeous book for lower primary kids and just deliciously-written. I aspire to write as well as any of these authors; if I didn’t read them, I wouldn’t know what to shoot for (and I enjoy supporting other authors too). Great post, thanks Sue. Immersion is great, I believe – and necessary. I love Dragonfly Song and also Emily Rodda, but I haven’t heard of Beatrice Zinker, Upside Down Thinker. Love the sound of it – I must keep a look out for it. But analysis. Learning from others, not copying is my aim. My accidental time travellers (historically accurate as I studied the dark ages, which weren’t dark) I can make them after a years study and reading. Thank you for your inspirational artical. My theory, how would modern literate young people react and cope in a medieval type of world…coming of age and search for self is the underlying theme. Sounds intriguing, Lorinna! All the best with it. This is a wonderful post, Sue, and very reassuring. Even if we feel the self-doubt or jealousy, it’s important not to beat ourselves up over it. And great advice – to use everything as a learning opportunity. My daughter (11) recently bought Nevermoor, so I’ll read it when she’s finished. I love middle-grade fiction fantasy, but will try to read analytically and not get too swept away. Thanks, Danika. Self doubt can be crippling, but it is a fact of life for most writers. I enjoyed your honest take on this Sue. I’ve been following the progress of this book with keen interest. I have to say I am just so delighted to see an Aussie getting some publishing love all over the world. I have read the first chapter and was intrigued,but I was also critiquing it with my authorly eyes. I did find it interesting that a child would go with a man she doesn’t know after he shouts do you trust me. I suspect that is my parent protection eyes looming over what I hope will be a great read. I personally do read in my genre and around and out and about. I study what it is that makes the book tick, and I try to determine if I’ve got a beating heart in my manuscript worthy of comparison. I’m all for reading everything and anything in children’s literature. Until I’m on the other side of a publishing contract, I believe its in my best interest to do so. I agree it is too! All the very best, Julie with your writing – and reading! Love your post, Sue. So true in every way. And yes, I agree that reading is CRUCIAL to being a writer. I do believe we learn subconsciously too, and so as we read it flows into our writing – things like structure, pace, dialogue…I also bought Nevermoor, for all the same reasons, but my 12-year-old son nabbed it from me and I’m yet to get it back. He’s enjoying it very much! Thanks Taryn. I hope you get your hands on it soon. I have had similar comments from other writers – so Nevermoor is certainly hitting the mark with its core readership. I can relate! My book, Esme’s Wish was released on October 30, two weeks after Nevermoor. I have been through comparison envy – it is hard not to when my book is the same genre and I am from Queensland too! Mine is a tiny tadpole in a pool with a big fish but in the end I figured we are in the same pool and there is enough room for both if us. Hopefully Nevermoor’s success will mean greater interest generally in fantasy and that can only benefit other Oz fantasy authors like myself. It may be that Nevermoor would have done well even without the hype – kids like it. and in the end if it’s all about getting them reading then it is measly of me to give it the stink eye – although considering the timing it would be abnormal not to when it was so in my face during my own book launch efforts. Oh, Elizabeth, what rotten timing! But I think you will see an increased interest in fantasy because of Nevermoor, so hopefully that will translate into potential future interest in Esme’s Wish. There is definitely room in the pool for us all – but your stick eye feelings are very understandable. Best of luck for the success of Esme’s Wish. Simple honest and very insightful blog. I just try my best to grow and learn each day. Take a deep breath and dive in feeling happy that I am lucky enough to love my writing. I figure if I happiness for others they will for me too. It is a merry go round. Thanks, Karen. Your work is going from strength to strength. And your passion is contagious. Great post Sue thank you. I’m glad you brought up the elephant in the room. I agree, I think reading, all round really, is jus part of our job. Thanks Anne. It has been a bit of an elephant in the room. Glad you agree that reading is part of the job. Aren’t we lucky?